One of the coolest parts of camping is getting the chance to experience nature up close and personal. People who love the outdoors are generally okay with not having their ordinary comforts at their campsite. That being said, when your tent is your sleeping quarters, it’s important that it’s cozy enough so you can sleep comfortably. But, how can you possibly make a tent cozy? 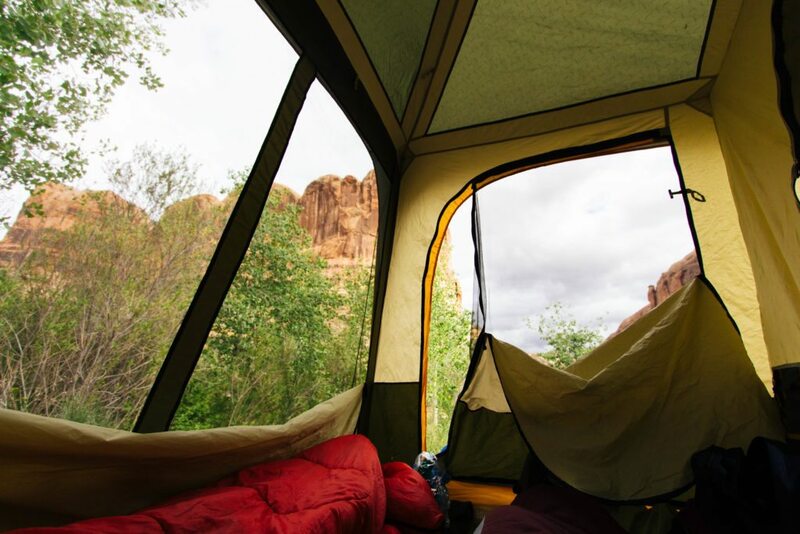 Here’s how to furnish your tent so you can have your home away from home outdoors. One way to make your tent more comfortable is by positioning it in a way that will make you feel better. Do you want the sun to wake you up bright and early in the morning? Or do are you bothered by too much sunlight? You should also consider things like which way the wind blows or how close or far away you want to be from others at your campsite. Every tent needs to have a sleeping bag, there’s no question about that. But, what if you could do more to furnish your tent to be comfortable while camping? Sometimes, a measly sleeping bag isn’t enough. Adding a sleeping pad and some blankets to make your tent extra cozy will really do the trick. Does your bed or sofa at home have a lot of pillows? Then you may be itching for something similar outdoors. One way to furnish your tent is by adding some outdoor pillows to make your backcountry living space just a little more comfortable. There are a lot of pillows out there that are made especially for camping. Consider the Teton Sports 12 x 18 Camp Pillow or the Therm-a-Rest Compressible Pillow. No tent is complete without a way to see where you’re going! Of course, there’s usually no electricity in the backcountry, and some of us can’t just rely on the daytime as our light source. So, another way to furnish your tent is by getting certain necessities. In this case, a funky and functional lantern like the Mr. Beams or the Rayovac, which you can hang up, will allow you to read your book or put your pajamas on. You can also add in some LED Glow Candles or battery-powered string lights to “lighten up” the mood. Are you one of the people who needs to have a glass of water next to your bedside at night? Many of us are like that. The problem is, water doesn’t always come easy while camping and neither does space. That’s why you need a makeshift nightstand, like a fold up tent table with cupholders, that you can place inside a larger a tent. You can still connect with nature and be a minimalist person without needing to sacrifice your comfort. Just furnish your tent this way! previous What's the Deal With Those Backcountry Huts?